Features: Anatomically sculpted. Lightweight merino helps regulate temperature. For runners who prefer a really precise fit in their shoes, and want maximum breathability, the Women's Run+ Ultralight Micro sock uses a diagonal wrap over the instep, letting your feet breathe comfortably. 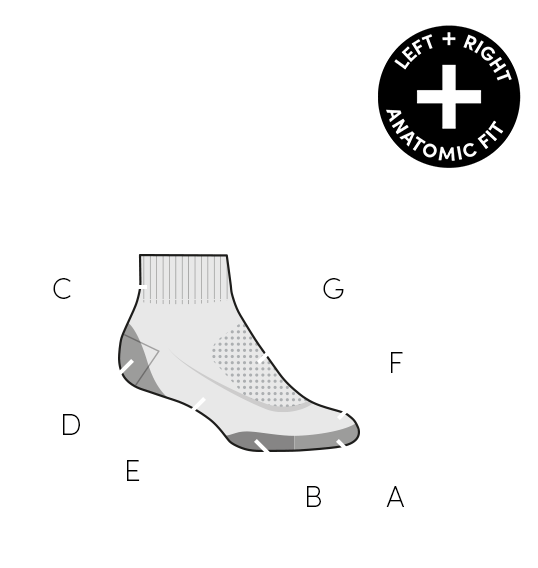 The merino is precisely and anatomically tailored to fit your feet without excess fabric anywhere, so you get maximum performance and minimal irritation.